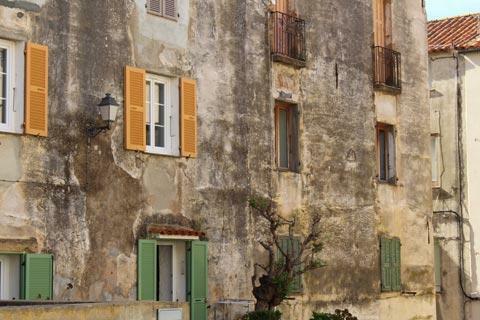 Calvi is a small town on the north-west coast of Corsica in an idyllic location with a large sheltered bay to the front and the mountains behind, on the edge of the Balagne region. 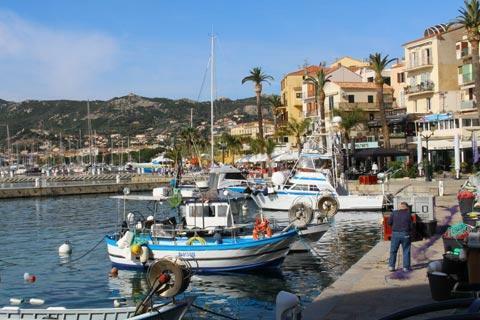 It is popular with visitors because it combines a historic town and a port with the chance to enjoy a long sandy beach. 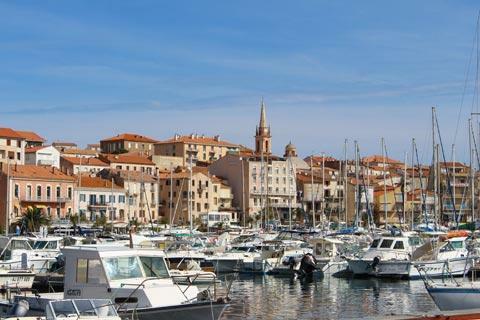 The Quai Landry is a nice place to start a visit, with a promenade along the seafront in the marina. 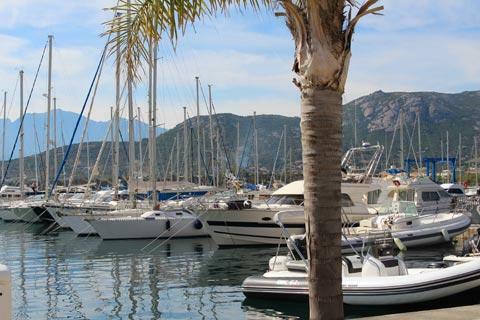 There are lots of small pleasure boats as well as local fishing boats in the harbour, and palm trees line the promenade. There are also numerous restaurants and cafes, bars and souvenir shops here where you can pause and enjoy the scenery. 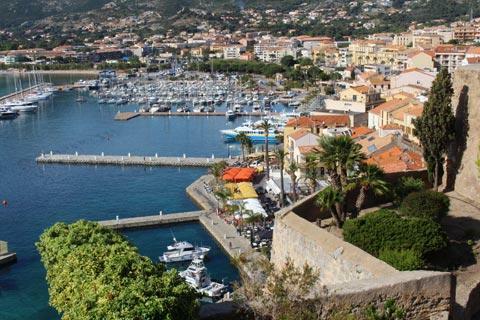 Calvi tourist office is at the eastern end of the harbour. 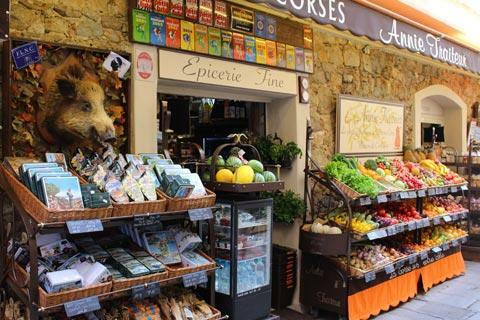 In the streets immediately behind the port there are various small shops and the pink baroque style Church of Sainte-Marie-Majeure, built in the 16th century, then as you continue further away from the water you reach larger streets with larger and more upmarket shops. 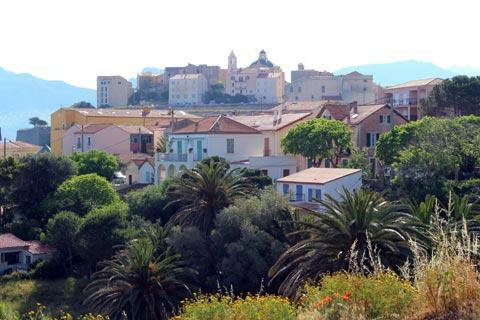 The citadel in Corsica is the historic part of Calvi, at the northern end of the town and towering above the port. The citadel is the main monument in Calvi and was built by the Genoese over an extended period from the 13th to the 16th century: it is essentially an entire small town surrounded by fortified walls, so as well as the streets of the old town you also have numerous lovely views across Calvi harbour and along the coast. 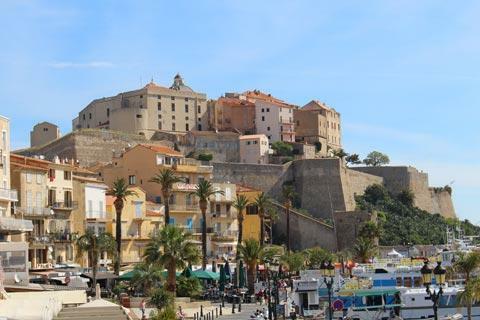 Note: you can see the citadel from everywhere in Calvi but finding the entrance can be more of a challenge - it doesn't seem to be very well signposted! It is on the southern side of the high walls, away from the harbour and near a large car park. Pass through the citadel gateway and you can walk around the ramparts, pausing for numerous photo opportunities as you go, then venture in through the narrow cobbled streets and passages of the citadel to see the old town. 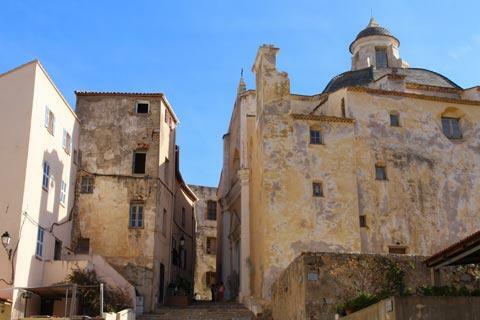 As well as the ancient streets of very tall stone houses there are several important historic monuments here including the cathedral and the Palace of the Bishops of Sagone (built in the 16th century, now in private ownership). 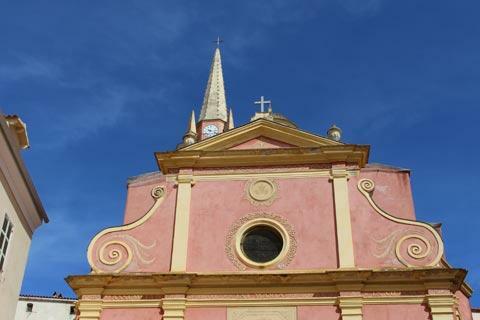 The Cathedral of St Jean Baptiste is a 16th century baroque style reconstruction of an earlier church that stood here. The highlights of the cathedral are inside, where you can see several items of interest including a large 15th century painting called L'Annonciation (by Babrabagelata), a 15th century black statue of Christ and renaissance period baptism fonts. The site of the house that is said to be the birthplace of Christopher Columbus is also in the citadel, marked by a statue, but note that although Calvi claims to be the birthplace of Christopher Columbus this claim should be considered as unproven. 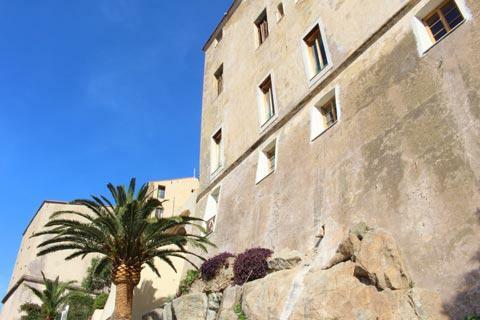 You can also visit the Museum of Corsican Ethnography which features numerous exhibits explaining the history of Corsica, and the Tour de Sel, a 19th century addition to the citadel, as well as the 16th century Oratory Saint-Antoine. 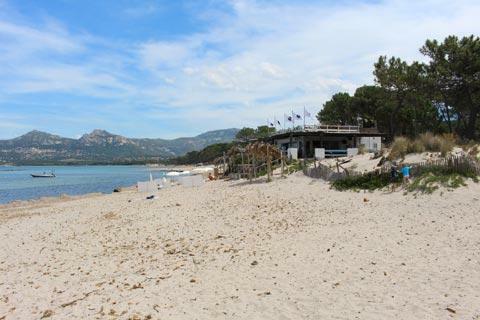 There is a very popular long and sandy beach at Calvi, called la Pinede because it is backed by pine trees, that is several kilometres long and to the east of the harbour. There is a wooden boardwalk between the beach and the trees for the first two kilometres. 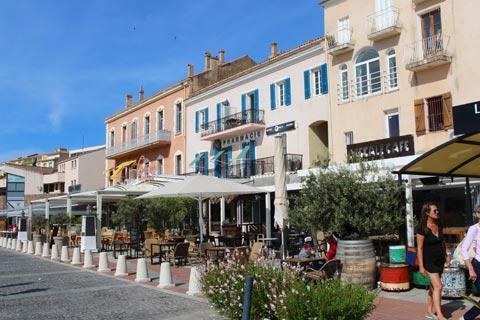 Although you can walk to the beach from Calvi centre, you will need to walk a kilometre or so out of the town centre to find the first attractive public section. Otherwise it is easy to take the small tourist train that runs along behind the beaches and find a place further along. Numerous activities are available along the beach here, such as windsurfing and paragliding as well as various beach restaurants. The beach in Calvi is very pleasant and has nice views across the harbour to Calvi and the citadel, as well as being very easy to access, but it is not an exceptional Corsican beach such as those you find near Porto-Vecchio and Bonifacio. 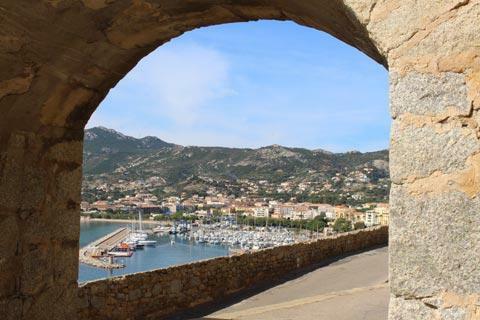 A popular excursion from Calvi is to take a boat trip from the harbour, which gives lovely views back across the town, the citadel, and the mountains behind. Also close to the town is the Revellata Peninsula, a rugged and beautiful coastline that faces directly out to sea. Now a listed natural site, there is a path that leads through Revellata to the lighthouse at the end of the peninsula. 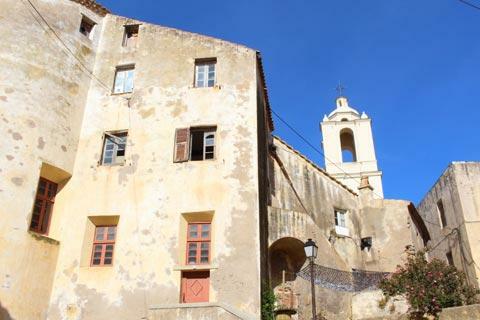 Near the entrance to Revellata you can also take the small road that leads to the Church of Notre-Dame de la Serra and has extensive views across the whole of Calvi and the region. 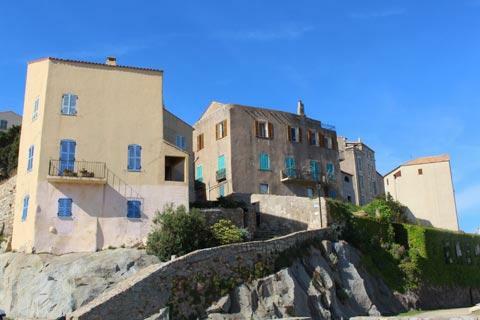 The trip to l'Ile Rousse, 35 kilometres to the north-east of Calvi and reached either by car or on the little train, is highly recommended. Many visitors also like to make a tour of the Balagne villages such as Sant'Antonino and Pigna while they are here.